BELLIN -Carte De L'Isle De Belle-Isle..
BELLIN, J.N. - Carte De L'Isle De Belle-Isle..
Carte De L'Isle De Belle-Isle.. - BELLIN, J.N. Size : 23.1 x 34.6 inches. / 58.7 x 87.9 cm. 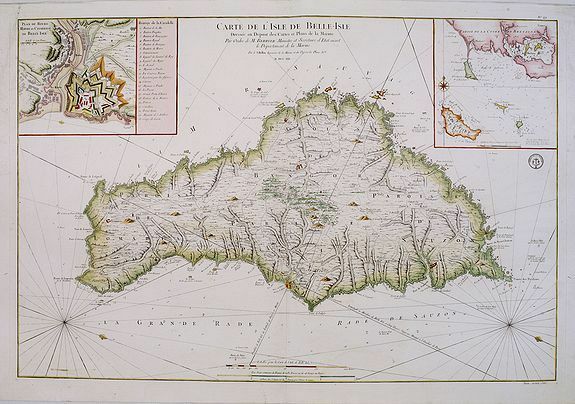 Description :Large-scale sea chart of Belle-Ile, in upper right corner inset of the French coast with Belle-Ile, îles de Quiberon with the bay of Morbihan. With rhumb lines.